Since the beginning of the presidential campaign Bernie Sanders has received little coverage and has been counted out of having any possibility of winning the Democratic nomination. Though the candidate has gained momentum as he continues his campaign, after Tuesday’s loss, mainstream media outlets counted Sanders out completely, claiming it is basically impossible to reach the number of delegates needed for the nomination. If we examine the numbers closely Hillary Clinton is ahead of Sanders by 314 pledged delegates and there are still 2,308 delegates up for grabs in the upcoming months. 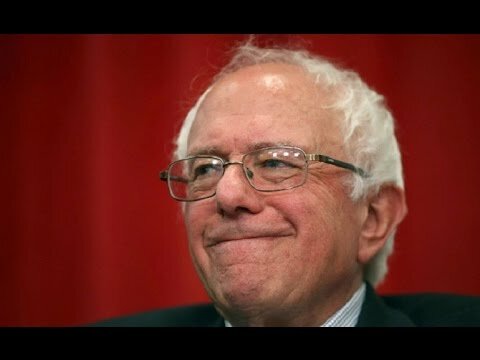 Greg Guma, the author of “The People’s Republic: Vermont and the Sanders Revolution,” told teleSUR that the path to the nomination is far from over. “Over the next three months, we have the states of California, we have New York, we have the Midwest and the Atlantic coast. Even though Hillary Clinton has won certain states in the South, the South is not the key to either the primary or the election as many of the people in the leadership of the Democratic Party understand the key to winning the Democratic primary and the election is to win the coasts, to win the East coast and the West coast, that has not yet been decided and Bernie has just as good a chance,” Guma said. Another aspect of the Sanders campaign that is often overlooked is the reasons that have driven the campaign to gain momentum. There has been an overwhelming number of young people, between the ages of 18 and 29 who have been supporting Sanders with very high percentages. According to Richard Wolff, a professor of Economics Emeritus at the University of Massachusetts, this is evidence of a shift in the future of American politics that is breaking the standards of the traditional old establishment Democratic Party. “To understand the phenomena of Bernie Sanders is to understand that he proves a fundamental shift in American politics is underway. I know from my own direct experience that the Democratic Party leadership expected Mr. Sanders to get between 1 and 3 percent of the vote in this election, period. The fact that he has done as well as he has done, getting an excess of 40 percent or even closer to half the votes in so many states and winning as many states as he has is an unspeakable change in American politics and will have enormous ramifications for the future,” Wolff said. Wolff also explained that this movement of young people is driven by their disappointment. Prior generations were able to make the so called “American Dream” come true, but the current generation feels that a change is needed in order to get that promise back, they see in Sanders that change that they are seeking. Wolff told teleSUR, “You have a generation of people who have been fundamentally disappointed, that’s the minimum word to use, the maximum word is betrayed. With all of these factors in mind, there is still a path for Bernie Sanders to win the nomination, but beyond that, the candidate is helping to shift the political spectrum in the United States. The Sanders campaign is still confident that moving forward they will be able to obtain the nomination. In a press release statement, Senator Sanders congratulated Hillary Clinton on her victories, but highlighted that he intends to continue all the way to the Democratic Convention in Philadelphia. “With more than half the delegates yet to be chosen and a calendar that favors us in the weeks and months to come, we remain confident that our campaign is on a path to win the nomination,” Sanders said.